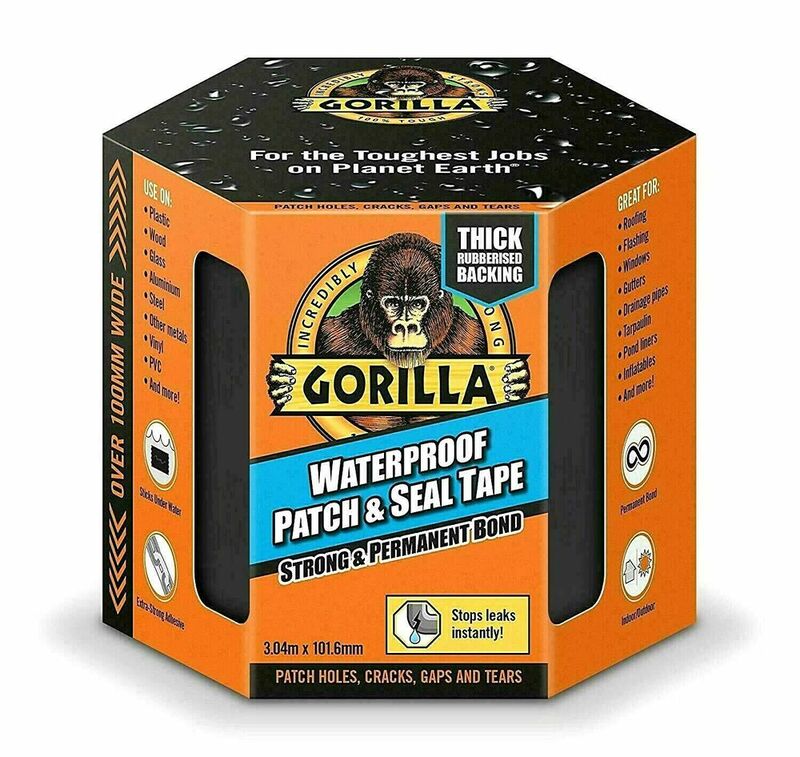 Gorilla Waterproof Patch and Seal Tape instantly seals out water, air and moisture. 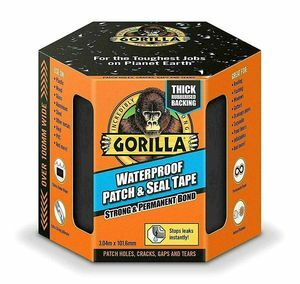 With an extra thick adhesive layer and UV resistant backing this tape conforms to form a permanent bond indoors and out. At 4 in. wide use it to patch holes, cracks, gaps and tears, even underwater.